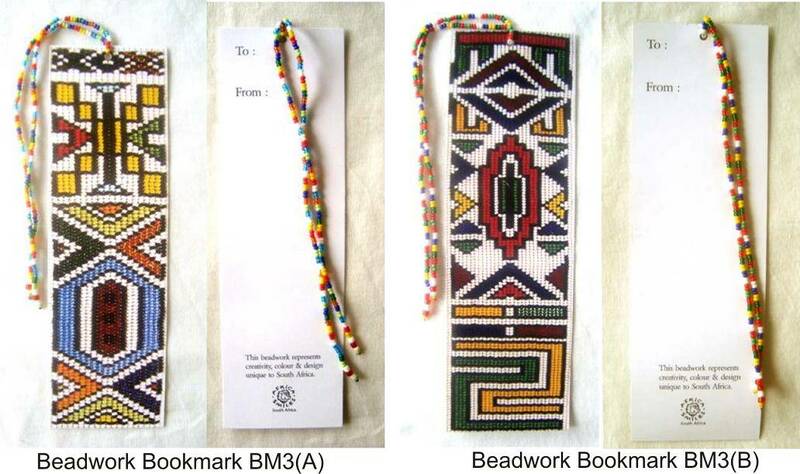 This is a range of colourful bookmarks displaying photographed decorative African Beadwork designs. Each bookmark has been designed with a double strand of matching colour beads which hang from the top. They are packaged neatly in a polyprop bag with a punched hole to allow for easy display.